Croydon students who attend the Newport Montessori School will not be allowed to have their tuition paid by the town. 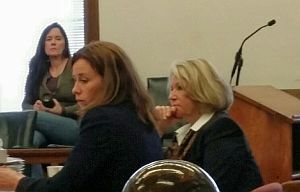 Sullivan County Superior Court Judge Brian Tucker issued the decision on Friday on the case that was heard in March. The judge sided with the State Board of Education who argued that private schools may not be meeting adequacy requirements and that the law prevents using public funds for private schools. The state won the permanent injunction they requested but back tuition or legal cost does not have to be paid by Croydon. The Croydon School Board will meet on Thursday August 4 at 6:30 to discuss this matter and the public is invited to attend. See related story here. This entry was posted in community, education, news, NH, schools on August 1, 2016 by GrowingInArt. 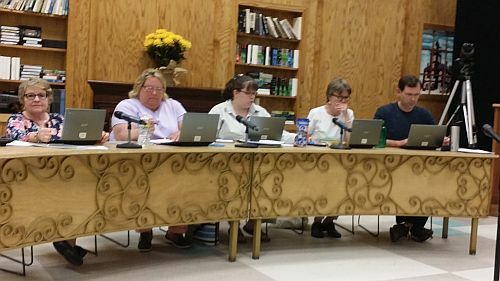 Newport School Board took another step forward on Thursday to unite the school district under one financial house with the town. The board voted unanimously to keep Terry Wiggins as business administrator for the next school year instead of hiring a business director. A business director’s salary would be $20,000 less. Wiggins is the business administrator for SAU 43, which is comprised of Newport and Croydon school districts. The joint SAU dissolves at the end of this school year. The board is planning on a year transition before the town’s Finance Director Paul Brown can take the reins of the school district’s budget. Board member Virginia Irwin expressed her feelings on hiring a business administrator. Superintendent Cindy Gallagher will meet with Newport Town Manager Shane O’Keefe and Finance Director Paul Brown later this month to discuss plans for the joint financial house. The school district and town hope that by combining their financial and other services it will lower expenses and tax rate for residents. This entry was posted in community, Newport, news, NH, schools on May 13, 2016 by GrowingInArt. TIGER Theater visited Newport Elementary Schools on Wednesday. The theater is based out Plymouth State University and helps children, schools, parents and communities deal proactively and positively with social issues and concerns facing children in schools today. Superintendent Cindy Gallagher says all students in grades k-6 were treated to the presentation. 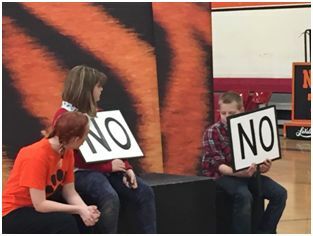 TIGER is an interactive presentation in which students and adults participate with the actors, who use theater, movement and music to try to reach school audiences with important messages children need to hear about how to help create a positive school climate. Superintendent Gallagher said the presentation was about what students should do if they see bullying. The program was paid with funds raised by the PTO and United Way. Members of the Cast worked with individual classes in each building to help reinforce the messages that were delivered in the performance. This entry was posted in Newport, news, NH, schools on March 31, 2016 by GrowingInArt. Croydon School District received a small victory on Wednesday regarding their policy on school choice. The NH House approved 208-143, HB 1637, which would allow Croydon and other districts without a school containing a grade for which a student is in, to attend non-religious private schools. The bill clarifies existing law. The bipartisan bill now goes to the senate for approval. The district has been in a battle with the NH Department of Education over sending five students to the private Newport Montessori School. The District won a temporary injunction in November when the NH Department of Education asked for the students to be removed from the private school immediately. 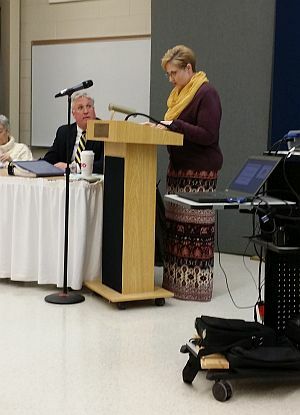 Croydon School District is waiting for a decision from Sullivan County’s Superior on whether they will be able to send their students to non-religious public schools next fall. This entry was posted in Croydon, education, news, NH, schools on March 24, 2016 by GrowingInArt. Croydon residents and school choice proponents filled Sullivan County Superior Court yesterday afternoon for NH Board of Education vs. Croydon School District. The State Board of Education was seeking a permanent injunction to stop Croydon School District from sending students to private schools. The state argued that private schools may not be meeting adequacy requirements and that the law prevents using public funds for private schools. Three parents who have or had students attending private schools testified saying they weren’t sure their students received an adequate education while attending Newport Schools since Newport were deemed a District in need of improvement for several years. Croydon School District’s Attorney Sean List and Chuck Douglas argued that the law says “not limited to” when referring to public schools allows for students to be assigned to private schools. Jim Peschke a member of the Croydon School Board and former Chair when Croydon started choice said he thought the hearing went well. Attorney Sean List said he has how now idea which way Judge Brian Tucker is leaning. Judge Brian Tucker will notify Croydon School District and the State Board of Education of his decision by mail. This entry was posted in Croydon, education, Newport, news, NH, schools on March 10, 2016 by GrowingInArt. It’s a red-letter day for the Croydon School District who returns to Superior Court to argue the merits of sending students to private schools. 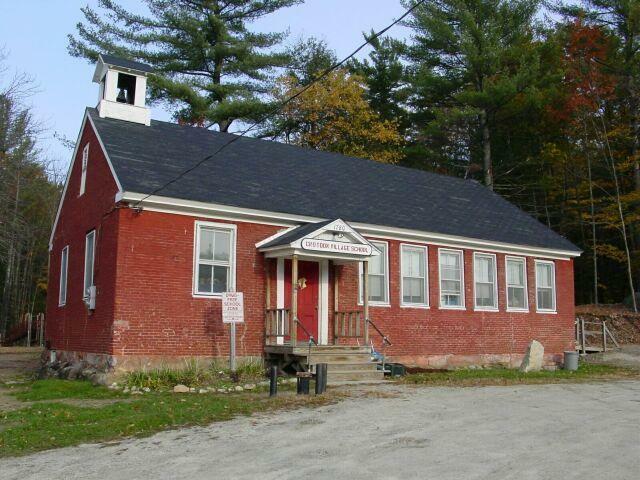 The NH Board of Education failed to get a preliminary injunction against the district to stop sending their students to the Montessori school in Newport. The hearing starts at 1:00 pm in Sullivan County Superior Court in Newport. A vote on house bill 1637 is expected to be voted on by the house today. The bill was penned by local legislators and would allow a school district to assign a child to another public school in another school district or to an approved, non-religious private school if there is no public school for the child’s grade in the child’s resident district. This entry was posted in Croydon, news, NH, schools on March 9, 2016 by GrowingInArt. Colby-Sawyer College will host a Sports Science Symposium on March 7. The Exercise and Sports Sciences Symposium Athletes First and Components of Effective Coaching will be held in Wheeler Hall in the Ware Student Center. The will be from8:30 a.m. to 2 p.m. Lectures are free and open to the public with a reservation required by Friday, Feb. 26. Lunch is also available for a cost of $12.50. For more information and reservations, contact Academic Administrative Assistant Terri Hermann at thermann@colby-sawyer.edu or 603.526.3616. This entry was posted in community, schools, sports on February 24, 2016 by GrowingInArt. Claremont voters were kept waiting for the School District’s Moderator to start the District’s Deliberate Session. After twenty minutes, voters were asked to nominate a temporary moderator. Tracy Pope, nominated ex-school member Heather Irish voted in unanimously to moderate the session. All of Claremont’s warrants remain unchanged. Although Claremont’s Operating Budget of $34,131,283 is lower than its default budget of $$34,433,886 there is a tax increase of .51 cents per thousand. SAU 6 Superintendent Middleton McGoodwin explained the increase is due to the cap on school adequacy aid being removed and Claremont loosing $437,000 from the state. Claremont homeowners can expect an increase of $1.00 per thousand. In October of 2015, NH Attorney General Joseph Foster admitted in open court Monday that the cap on adequacy aid is unconstitutional, affirming a key claim in a lawsuit brought by Dover School District on school funding. This entry was posted in Claremont, news, NH, schools on February 4, 2016 by GrowingInArt.